Roses for Your Loved Ones! 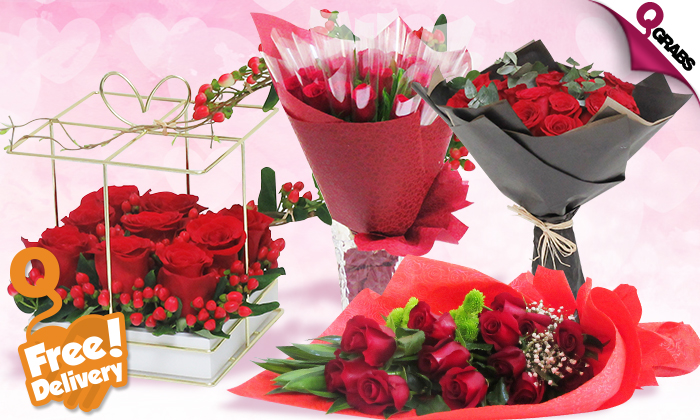 Gift your loved ones the gift of love this season with roses beautifully decorated in bouquets and boxes! Choose from red roses or other colors that are available on special request. Smaller secondary Flowers, fillers and wrapping included in all options. Perfect for Valentine’s day, birthdays, anniversaries, or just because you care! Up to 52% off arranging a smile for that special someone! Ferrari Bridge is one of the premier Fresh Cut flower importer and wholesellers in Qatar. Founded on the vision of their Chairman Mr. Hassan Abdul Ghani. Incorporated in year 2015 to import fresh cut flowers from across the world. More than 200 varieties of high quality flowers imported from different part of the world every week to maintain the quality and quantities. Today Ferrari Bridge is one of the preferred suppliers of flowers and floral accessories for many corporate and retail organizations.